Throughout Scripture and church history, women have been central to the mission of God. But all too often women have lacked opportunities to minister fully. Many churches lack visible examples of women in ministry and leadership. Pastor Tara Beth Leach issues a stirring call for a new generation of women in ministry: to teach, to preach, to shepherd, and to lead. God not only permits women to minister—he emboldens, empowers, and unleashes women to lead out of the fullness of who they are. The church cannot reach its full potential without women using their God-given gifts. Leach provides practical expertise for how women can find their place at the table, escape impostor syndrome, face opposition, mentor others, and much more. When women teach, preach, lead, evangelize, pastor, and disciple, and when men partner to embolden the women in their lives, the church's imagination expands to better reflect God's story and hope for the world. "With grace and honesty, Tara Beth Leach unpacks her journey of becoming a woman senior pastor in a prominent evangelical church. In doing so, she blazes a trail for us all, both men and women, in empowering women for ministry. Robust in its theology, practical in its wisdom, Emboldened tells us why God's mission demands nothing less of us in these times: women and men together leading God's church." "A double shot of spiritual espresso to awaken, encourage, and embolden every woman in the kingdom of God." "It's time for the church to expand its imagination to include the strengths that women bring to the table as senior leaders, and Tara Beth Leach helps us do just that in this engaging book. Finally we have a primer for women in pastoral ministry that is both practical and theological. Emboldened is unflinching in naming the challenges that keep women sidelined in the church while at the same time inspiring those willing to brave those challenges. This will be the first book I recommend to women considering vocational ministry." "One day, Lord willing, the American church will look back in disbelief at our failure to see the emboldening of women as essential to living faithfully under the rule and reign of God. This book, however, presents the opportunity to bring us much nearer to that day. I commend it strongly to all, but especially to my fellow brothers in Christ; may we heed this vision as a fresh, kingdom-oriented call to 'biblical manhood.'" "Pastor Tara Beth Leach has produced an inspiring writing to embolden those who are called for ministry. For women called to vocational ministry the pathway is not easy, but Leach reminds us that the call cannot be ignored. This is the mission of God, and in the words of Pastor Tara Beth, 'I get to do this.' This book is a vital new resource for the church. It's for all women who are called to ministry and for those who will embolden others who have been called." "Emboldened is a clarion call of instruction and inspiration to not settle for fifty percent participation, but for the church to engage one hundred percent of its people in the mission. My friend Tara Beth Leach is an important young voice that offers the church of Jesus a much better vision of the future. If you want to be challenged, inspired, or catch a glimpse of the church's tomorrow, read Emboldened." "Tara Beth has chosen the right word to describe not only women who have gone before us, what God is doing among women today, but also what especially church leaders need to be doing today: embolden the woman as a way of letting the gifts of God be given to the people of God." "We both believe that if we are to be the transformational movement that Jesus intended us to be, we are going to have to activate the God-given agency of women in the organized church and beyond. Until that happens, the body of Christ will continue to limp along. Tara Beth's new book is a loving invitation for the church to take women seriously enough to empower them for the frontline of leadership and mission. Viva!" "Tara Beth Leach perfectly articulates the ache I feel for the day when the church will embolden men and women to serve God in all spheres of ministry without gender qualifiers. It's a passionate call for revolutionary change in our churches, but it's also a warmly written guide, full of very practical advice, useful steps, and stories to sustain you in that journey. Please read this book. Please." "Over the years, I've heard the keepers of patriarchy shriek and howl over the imagined ills of what they deem the 'feminization of the church.' But if the 'feminization of the church' means more pastors like Tara Beth Leach, I'm all for it! I fervently hope that Emboldened will help pave the way for many more women in pastoral ministry." "Women who are called to ministry need a pastor—to tell them they're not alone, that they can do this. They need a voice to speak truth over their calling and identity. In Tara Beth Leach they find such a voice. Her warm, pastoral authority twice blesses her readers, both as recipients of her care and as they watch her model what ministry can be." 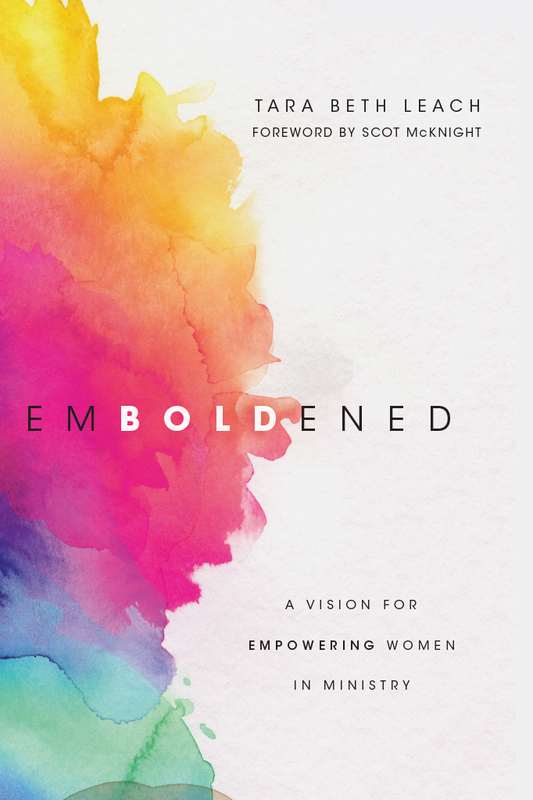 "Emboldened is the book you need to give to every woman who is called into ministry. Thorough, hopeful, pragmatic, and bold, I hope it becomes required reading for every student of Scripture and discipleship because this is equal parts roadmap and encouragement. Tara Beth has given us the missing piece of the puzzle for churches who want to empower women to lead and step out in faithfulness to their calling and giftedness for the sake of the gospel." "It's easy for a church to say they affirm women in ministry. It's much harder, as gifted and called women know all too well, to be a church that actually equips and empowers women to be who God created and called them to be. With pastoral wisdom, Tara Beth Leach encourages women who have been sidelined by churches who made promises that remain unkept. With prophetic vision, she illustrates a path forward for these churches that we might practice what we preach. And she does it all by weaving her own story—told with raw vulnerability—into the story of Scripture and the story of the church, which has from the beginning been shaped by the voices of our spiritual mothers as much as our spiritual fathers. She offers this as a precious gift to all of us, men and women, that the church of Jesus might more perfectly show the world what it looks like when God's kingdom comes here on earth as it is in heaven." "Very few issues are as potentially divisive and hurtful as the gender issue for leaders, teachers, and pastors in the local church. The pathway for many has been lonely and discouraging. Tara Beth Leach steps into this hard place with a strong, wise, and gracious voice. This book is an enormous gift to men and women trying to figure out how to honor God and one another in the ways we guide, shape, and care for the bride of Christ. I can't wait to share this book to embolden the leaders I'm coaching!" "With grace and honesty, Tara Beth Leach unpacks her journey of becoming a woman senior pastor in a prominent evangelical church. In doing so, she blazes a trail for us all, both men and women, in empowering women for ministry. Robust in its theology, practical in its wisdom, Emboldened tells us why God's mission demands nothing less of us in these times: women and men together leading God’s church." "Pastor Tara Beth Leach issues a stirring call for a new generation of women in ministry. God not only permits women in ministry, God emboldens, empowers, and unleashes women to lead out of the fullness of who they are. The church cannot reach its full potential without women using their God-given gifts. Leach provides practical expertise for how women can find their place at the table, escape impostor syndrome, face opposition, mentor others, and much more. When women lead, and when men partner to embolden the women in their lives, the church's imagination expands to better reflect God's story and hope for the world." Tara Beth Leach is senior pastor of First Church of the Nazarene of Pasadena (“PazNaz”) in Southern California. She is a graduate of Olivet Nazarene University (BA, youth ministry) and Northern Theological Seminary (MDiv). 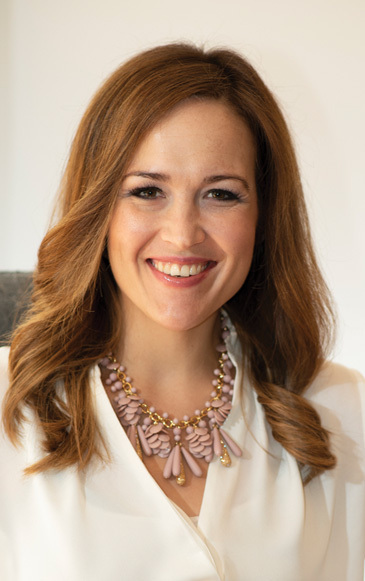 She is a regular writer for Missio Alliance and has contributed to other publications such as Christianity Today, Christian Week, and Jesus Creed. She is the author of Kingdom Culture and a contributor to The Apostle Paul and the Christian Life. She has two beautiful and rambunctious sons, and has been married to the love of her life, Jeff, since 2006.